Admission Price: Free to attend, spaces are limited and places must be booked in advance. The Department of Music is delighted to welcome Michael Nyman CBE to the university for the first in the department’s Distinguished Lecture Series. Nyman will discuss the range of his diverse career and focus in particular on his re-compositions based entirely upon notated - not aural - sources, and how and why this has been integral to his compositional approach. In this lecture, he will draw upon experiences from hearing Thurston Dart playing the music of Orlando Gibbons on a Steinway during a meeting of the Royal Musical Association in 1965, to what he describes as an ‘awareness’ but ignorance of the Glenn Gould Goldberg recordings, relating to a current project. The talk will be illustrated by recordings. Nyman, who was born in 1944, is world-renowned for his wide-ranging compositional work, with numerous operas and dramatic works including The Man who Mistook his Wife for a Hat and Facing Goya, twelve symphonies, three string quartets and a range of film scores for directors including Peter Greenaway, Jane Campion, Patrice Leconte, Michael Winterbottom and others, as well as the work of his own ensemble, the Michael Nyman Band. Yet he began his career as a musicologist, working at King’s College, London with Dart and specialising in seventeenth-century baroque music, then as a critic, most notably for the Listener magazine, where he was one of very few in Britain to write favourably on modernist and experimentalist music from Britain, Europe, North America and elsewhere. He was also a librettist for Harrison Birtwistle, and in the early 1970s was best known as an ‘experimental’ composer, deeply engaged with that particular musical subculture. His 1974 book Experimental Music: Cage and Beyond consolidated the idea of a fundamental divide between the ‘experimental’ and the ‘avant-garde'. 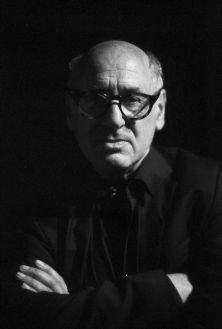 Much of Nyman’s most notorious music draws explicitly upon earlier sources: that of Henry Purcell for his score for Greenaway’s The Draughtsman’s Contract and also his Memorial, written in memory of the victims of the Heysel Stadium disaster in 1985 and later used for Greenaway’s The Cook, The Thief, His Wife and Her Lover; John Bull’s Walsingham Variations for his String Quartet No. 1; Mozart’s Sinfonia concertante for the score for Greenaway’s Drowning by Numbers; Scottish folk songs for the score to Campion’s The Piano, and now an ongoing project relating to Bach’s Goldberg Variations. Yet many would be surprised to know that Nyman has actually never heard many of these works. This lecture will serve to illuminate the motivations for and consequences of this iconoclastic approach. This lecture, which will be chaired by Ian Pace, Head of Performance at City, will be followed by a short reception for all guests.